All Boondockers Welcome members who list a host location get a 50% discount on a 1-year guest privileges subscription. If you're thinking of purchasing a subscription and can offer a host location, even if it's only when you're not travelling yourself or can only fit smaller rigs, this is a great benefit. Every time a guest completes a stay at your host location, you'll be rewarded with a credit for 3 months of guest privileges. You can activate these whenever you choose - save them up for your next big trip, or use them one at a time when you go on shorter journeys. And of course, you'll always have the reward of making amazing new friends and hearing about their adventures! All of the boondockers that I have hosted are simply wonderful people. I feel that my life has been enriched in some way by every one of them. Every one of them is invited back and would be welcomed with a smile on my face and joy in my heart. I couldn't be more pleased to be a part of Boondockers Welcome! I have been a host site for nearly two years now and I have yet to have anything but great experiences and guests! I plan on full timing soon and hosting other full timers has truly given me so much insight into the lifestyle. I cannot wait to become a guest with some of my past guests at their sites. 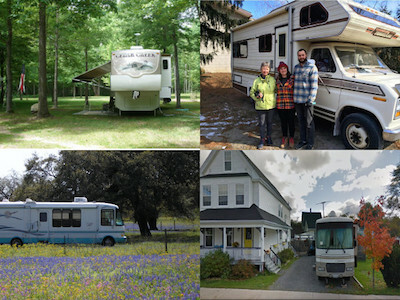 Great asset to the RVing community whether a guest or host, Boondockers Welcome is awesome!